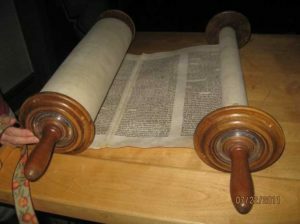 Here’s what’s happening this week at TEMV, including our Simchat Torah Service! Note the early start time! Our service will include complete unrolling of the Torah scroll, hearing the last words of Deuteronomy and the first words of Genesis, and special blessings and recognition of our newest religious school students. Religious School is in regular session. Please note the volunteer opportunity below! The Sukkah will be taken down. Assistance is requested. Please come and help! Please come join us as we plan for the upcoming season full of weekly Shabbat services, a service to welcome new members, and celebrate Hannukah. There are opportunities for year-long commitments and one time tasks that need to be done. If you can’t make the meeting, but would like to help, please contact Karen Lipshires. Welcome TEMV’s new members! This service features the 1st Parish Unitarian Universalist Chelmsford Church Bell Choir. Potluck dinner for all before the service. RSVP with how many in your party and what dish you’ll bring. Includes a text study of Parashat Noah. Visit our sign-up page to choose your date or email us with your preferred dates. Not sure what it involves? Read about Oneg/Board Host Responsibilities. Yoga: Wednesday, 6:30pm. No Yoga on Wednesday, October 12. As long as at least three people commit to being there, we play. All levels of players, including beginners, are welcome. We love introducing and teaching the game to new players. Please email mahjong@temv.org to tell us whether you are coming. Join the Mah Jong email to keep updated about cancellation by emailing mahjongg-join@temv.org. Do you have something to add to this email blast or to the temple’s bulletin? Send it to Phebe.